Oof. Yeah, I hadn't realized how much that's gone up. Bloody Crucible of Worlds is cheaper these days. Okay, I know that's probably a heretical suggestion, though I prefer focusing on land ramp instead of artifact ramp considering the number of swamp-based boosters/rituals you're running. Sword of Rampant Growth is a consideration - I know you said the deck doesn't want to be attacking often, but I think you have a decent number of bodies that carry the sword well. With 3 "no max hand size" cards, how often do you have more than 7 cards in hand? 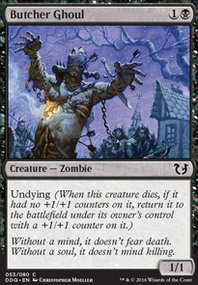 Do you deal with enough graveyard removal in your meta that your hand is safer for a card until it's time to use it? How often is Temporal Extortion successful in getting an extra turn? I can see you have a high level of redundancy in important functions, hence the smoothness you mentioned. 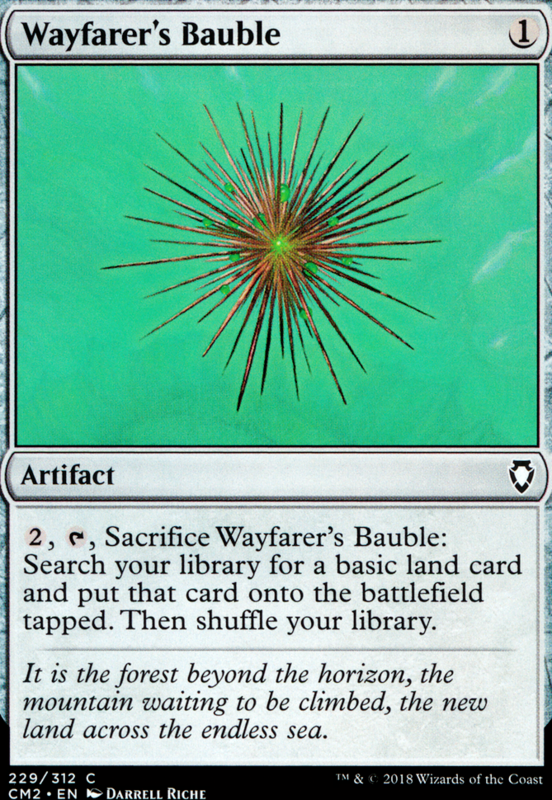 With as many tutors as you have, I was going to suggest Expedition Map as a possible cut, but having just mentioned land ramp I bet I would have ended up changing it to Wayfarer's Bauble and using another tutor for special lands. I also tend to think that tutors mean you don't need as much redundancy, just backups in case one gets exiled. Among your redundancies: 3 pacts , 3 Swamp ' boosters ', 3 Swamp ' rituals ', 2 mana ' banks ', 3 'no max hand size'. I'm not saying one of these should be the cut, but it's something I wanted to talk about for a moment because I think it's a space for you to evaluate regarding: how many of each function you need in play at a time in most games and what reasons compel you to tutor for the second or third card of any particular function. I'm not mentioning the tutors because you focus on tutors over draw, so I wasn't going after any of those outside mentioning Expedition Map . Example: you might be using only one of a function at a time and the others are backups. 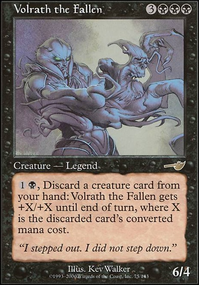 In this case, being able to evade removal with a sacrifice outlet (like Claws of Gix or Infernal Tribute for the noncreatures) or Imp's Mischief , and using recursion, could reduce the number of redundancies needed. Maybe taking time to recur is too slow for you meta, I don't know. Example: you might be using multiple at a time. In this case you could evaluate how many of any particular function have actually been needed for 80% of games. Let's imagine having one pact in play does an alright job of controlling the board but having two really locks it down - a third wouldn't add any benefit and could be winmore/dead, especially if you can recur the others or dodge removal. So that's why I can't really just pick out an easy substitution from among those, as I don't know how necessary any area of redundancy is. However, outside of those you could probably go down to 36 lands with the rocks/boosters/rituals you have and replace Path of Ancestry . I see I am not the only one excited about Feather, and I am glad! First I want to ask about Sunforger ... I've been debating it because it is more expensive than this deck wants and would just be value and not really a win-con, which is how I like to play my Sunforger. Your thoughts? I like Braid of Fire and the Altar here... very clever! Some Cuts: Stone Quarry, Path of Ancestry, Boros Guildgate, Ancient Amphitheater all for basics, Strongarm Monk, Gut Shot, most of the Heroic guys that only get bigger like Akroan Skyguard, better to focus on going wide and protecting your board. I'd add: Wayfarer's Bauble , Fellwar Stone , Coldsteel Heart , just because you have a low curve doesn't mean you don't want ramp, Goblinslide , Oblation (hit your own token every turn for cards), Impact Resonance , and Grenzo, Havoc Raiser . Well I can see two big problems with your deck- but only two. 1) Ramp. Yes, the fellow above commented on it, figured I'd belabor the point. Armillary Sphere , Burnished Hart , Mycosynth Wellspring , Pilgrim's Eye , Renegade Map , and Wayfarer's Bauble are all good ramp spells. 2) Card draw. 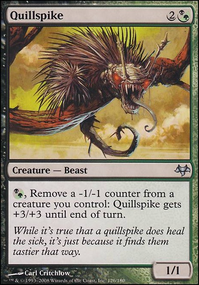 While not necessarily a dire need, a good Faithless Looting , Phyrexian Arena , Sign in Blood , Night's Whisper , or Tormenting Voice may help cycle through, a tad. I also feel your commander should definitely be Rakdos, the Showstopper . You appear to be a fan of chance and of shaking up the board state- that is, rocking the board state violently. You could put in a copy of Krark's Thumb and just roll with that. I don't see you getting much value out of the price reduction until you already have a few demons out. Now, if you want any suggestions on cards to cut feel free to ask, but a lot of people don't take that super well so I'll hold off until I've got the OK.
Ich würde nicht weniger als 34 Länder spielen. Auch bei geringen Durchschnittskosten hast Du sonst zu wenig Länder auf der Starthand. Man könnte noch Sachen wie Ash Barrens oder Shimmering Grotto mit reinnehmen, oder auch Grixis Panorama und Konsorten. Das fixt Deine Farben noch zusätzlich. Ich würde eine Handvoll kleiner Artefakte wie Wayfarer's Bauble spielen, die Du für Basics saccen kannst. Dafür brauchst Du dann nicht zwingend grünes Mana wie z.B. für die Landtutoren. Auch Eldrazispawns erzeugst Du meist mit farbigem Mana, und wenn Du die benötigte Farbe nicht hast, hast Du ein Problem. Quicksilver Amulet for Aether Vial : I think Aether Vial doesn't help your deck in a lot of turns and with the amount of ramp in the deck the Amulet should be stronger. I also play Muldrotha, and I've gotten to be pretty happy with where my deck is at the moment. Seeing your comment above, I'll try to keep a budget in mind. Firstly, you should aim to keep a bare minimum of nonpermanent spells. If there is a permanent that can replicate the effects of a spell, use it. 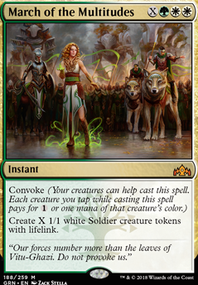 For example, Sakura-Tribe Elder is one of the best creatures out there for what it does, and can easily replace cards such as Rampant Growth or similar. 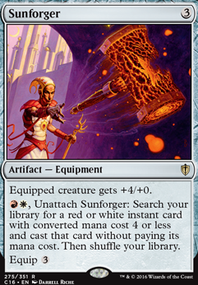 Burnished Hart is good as well, as it can be played as either your Artifact or Creature for the turn. I would certainly cut down on some of your spell-based removal, and look instead for more cards such as Fleshbag Marauder and/or Hostage Taker . Archaeomancer is probably better than Scribe of the Mindful , or at least another copy of it if you want to keep the amount of Instant and Sorcery spells as high as they are. 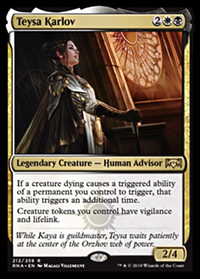 Finally, some other cards I would prioritize adding are Wayfarer's Bauble , Skullclamp , Pernicious Deed , and Mystic Remora . Actually, on the topic of Cumulative Upkeep, Glacial Chasm and Elephant Grass are both incredibly powerful cards win conjunction with your commander. TL:DR - Prioritize permanents over spells, and keep in mind that cards with ETB/LTB effects are incredibly powerful, especially with a sacrifice outlet in play. I'll link my deck below if you want to check it out for inspiration, and if there is anything else I can do for you please let me know!